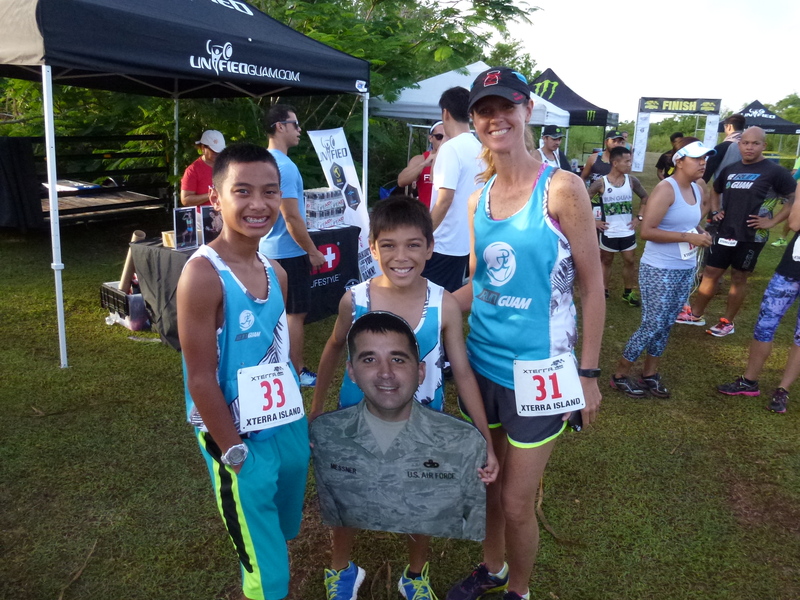 The Xterra Island Father’s Day 5K kicked off as the sun rose over the dramatic cliffs of Guam’s western shore. 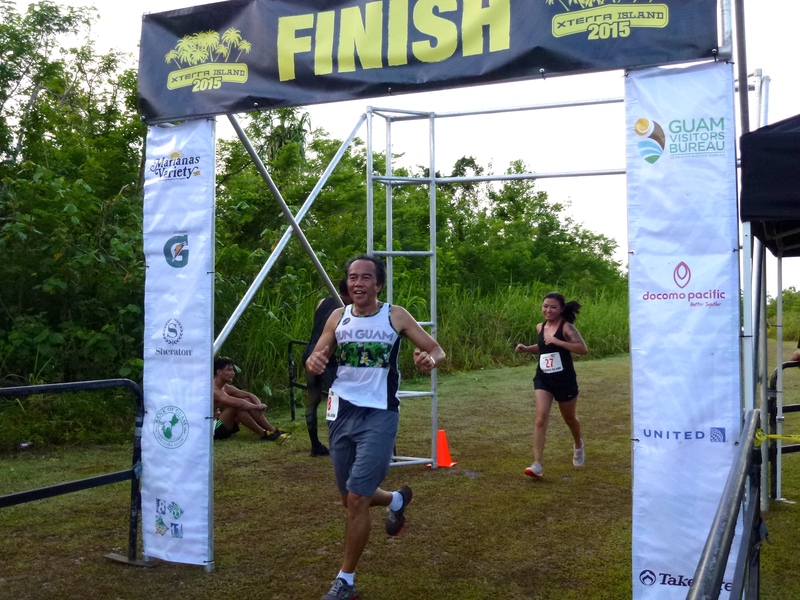 The race was an opportunity to introduce local and visiting runners to see a new, more rugged side of Guam’s athletic scene. Starting out near the famous Two Lover’s Point landmark in Dededo, the trail begins along a red dirt service road intersecting the asphalt drive on the way into the monument. Orange cones mark a running trail winding through high grass and trees away from the road before opening up at Marine Corps Drive. The trail follows Route 1 before turning back through another off-road trail leading the runners back to the starting point of the course. Over 100 runners participated this year, some of them families running together in honor of a father in their lives. This year, a pair of young brothers brought a large picture of their father to run with them. The picture showed the proud pop smiling in Army fatigues, one of Guam’s many military service members deployed around the world. Families ran, grouped together, regardless of their skill, supporting each other and rooting each other on. These runners ran to show each other their pride. Other athletes ran for the win, the prestige and the delicious free Mångge Pop provided to the first 50 finishers. The event, hosted by Guam-based creative marketing firm PIVOT, is open to men and women of all ages and skill levels. Since the race follows a mixed course with both off-road and on-road elements, there are a few things runners had to look out for. First, the scenery is distractingly beautiful. The brilliant blue skies and cumulous clouds just beginning to form in the morning sky are enough to keep an athlete on their toes; add to that the brilliant greens, earthy reds and browns of the jungle to the left and right, nature’s splendor is simply inescapable. Second, the off-road trail leaves runners open to the possibility that their foot may encounter a wily tree root, the lumpy edge of a rock or a slippery patch of leaves. The morning dew makes the red dirt damp, but nothing a few sturdy treads can’t handle. A sprinkle of dew from a few branches overhead or a few blades of grass may even be welcome to those working up a sweat. Xterra events replace the typical open road races with unconventional courses that take athletes on an adventure through perhaps unfamiliar territory. The landmark Xterra Championships are triathlons in with athletes race along mountain crests, even through rivers and waterfalls. 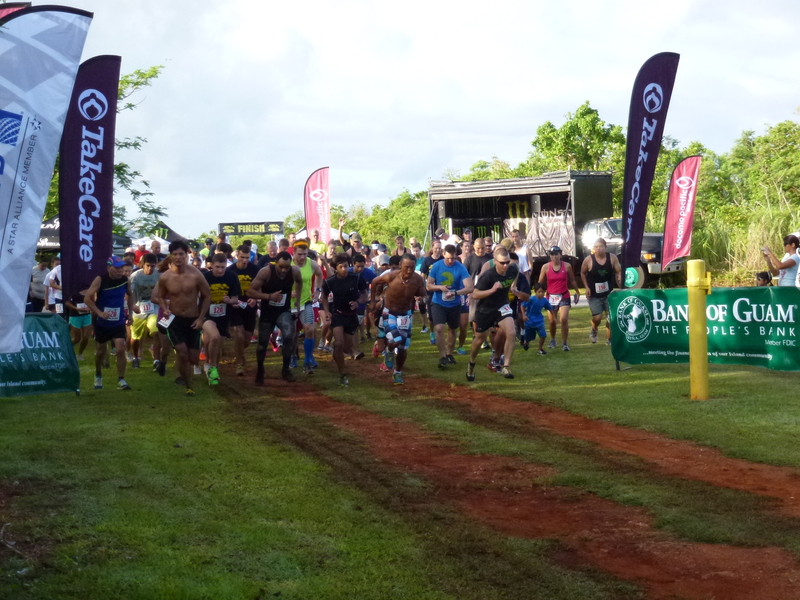 Events like the Xterra Island Father’s Day 5K, offer athletes a small taste of the island’s off-road trails.